Pressure Cooker Spaghetti Sauce (Bolognese) is great for meat lovers and vegetarians. Choose whether or not, you want to add meat. Choose the type of meat. 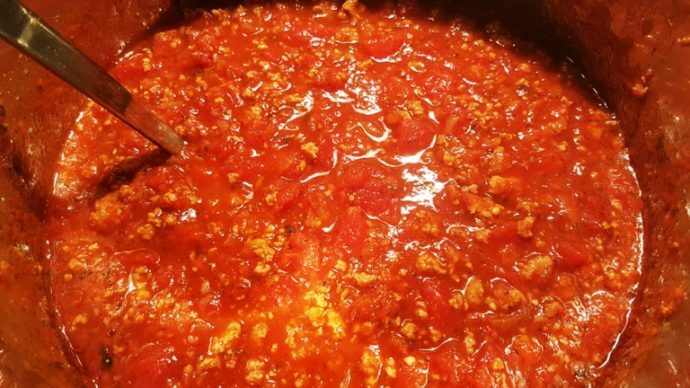 We all love homemade spaghetti sauce that cooks all day on the stove. With the Instant Pot or Pressure Cooker, you can have that same taste with just a 10 minute cook time. Meat lovers, use some Italian Sausage and/or any other ground meat you would like in your sauce. I prefer a vegetarian sauce and this recipe is my favorite. My husband loves this Pressure Cooker Spaghetti Sauce with whole sausage and meatballs. I’ve never been a huge fan of meat sauce. I do, however, like to brown the sausage and meatballs and then remove them from the pot. Then continue with the rest of the ingredients. 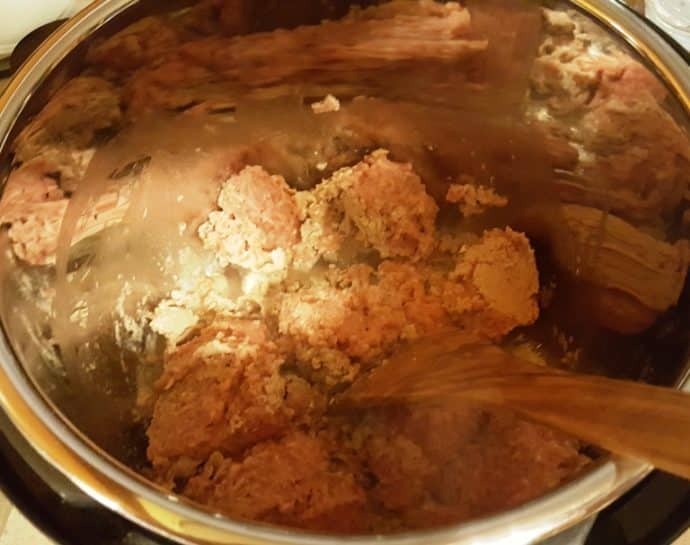 When we are ready to eat, I usually put the sausage and meatballs back into the pot to warm. The husband can take the meat with his meal and I grab some sauce. We both win. However, sometimes I do just crumble up the sausage and/or ground beef/turkey and make this sauce. For cooking on the stove top, the sauce would simmer all day. I’d have to stay home and stir and check on the sauce. It’s so great to get an all day pasta sauce in less than 30 minutes. If you want to cook your noodles or macaroni at the same time as your sauce, try my Pressure Cooker Quick Spaghetti Dinner or my Pressure Cooker Beef and Macaroni for an easy one pot meal. Turn on your Pressure Cooker and allow the pot to get completely hot. Adding a fat to a hot pot, will make the stainless steel pot non stick. If you add fat to a cold pot, your food will stick. After the pot is hot, add your oil and start to brown the meat. Break up the meat really well and add in your ground fennel. If you have whole fennel seeds, just take the back of a spoon and smush them. Be careful so they don’t go flying across your kitchen. Roughly chop the onions and toss them into the pot. Continue to sauté for a few minutes. Garlic is best when you only sauté for a very short time. So, add the garlic and sauté just one more minute. Carefully add in the rest of the ingredients. Make sure you use a good wine. One that you would like to drink with your meal. Never buy wine that is labeled for cooking. It is cheap and pretty nasty. The wine adds a terrific depth of flavor and I suggest not skipping the wine. Lock on the lid and you are ready to cook! This makes a lot, so we freeze what we are not going to use for dinner and save for next time. Easy, right? Home made pasta sauce in not much more time than it takes to open a jar of premade sauce. If you want to have a one pot spaghetti dinner, try my Pressure Cooker Quick Spaghetti Dinner or my Pressure Cooker Beef and Macaroni (Bolognese), for a one pot meal. 1/2 cup Red Wine/Cabernet a good Cabernet! Turn your Pressure Cooker to Sauté or Browning mode and allow it to heat. Add a Tablespoon of olive oil to the Pressure Cooker cooking pot and then dump in the sausage/ground beef. Brown the sausage, breaking it up as you stir. 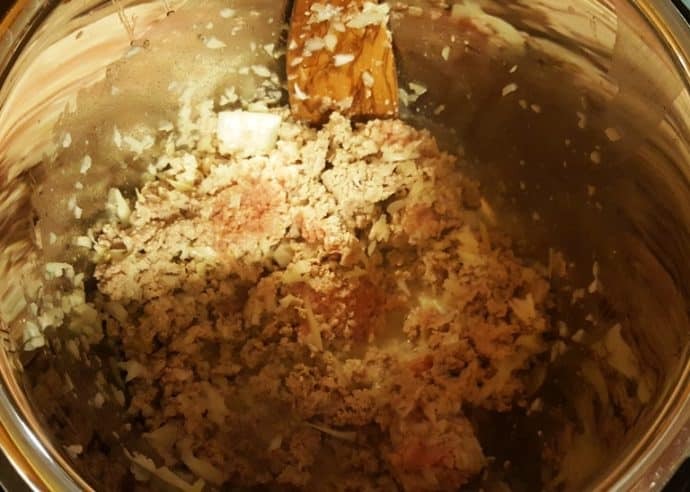 (If not using meat start here) Add the rest of the ingredients. Cook on high pressure for 10 minutes. When Beep sounds, allow a 15 minute natural release, then carefully do a quick release. 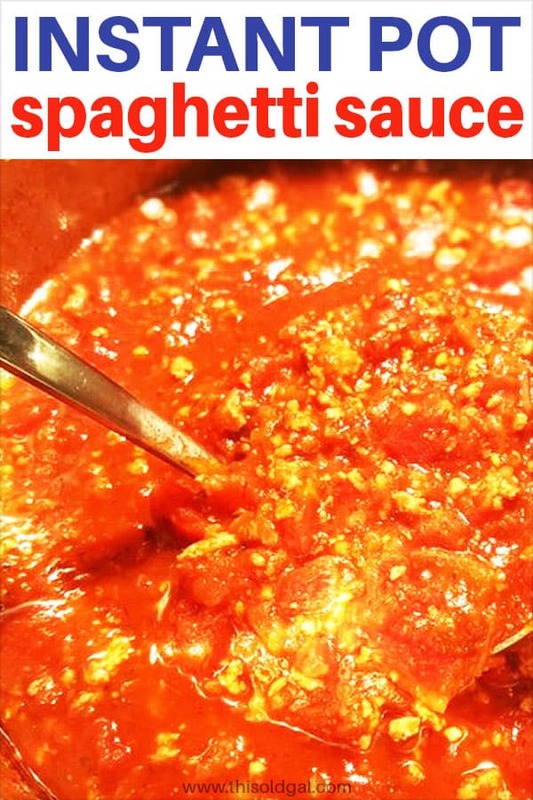 If you want a one pot spaghetti dinner, please see my Pressure Cooker Quick Spaghetti Dinner. 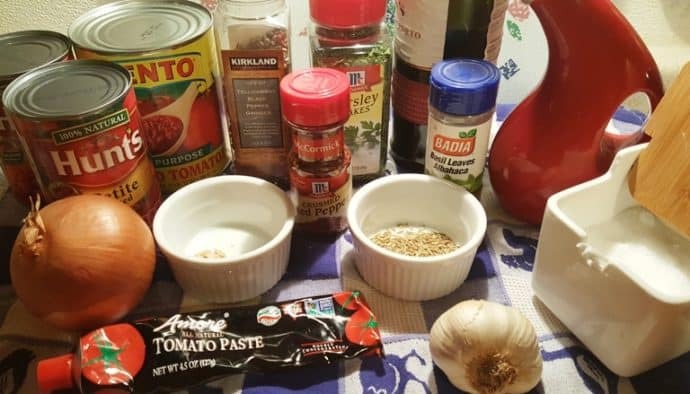 PIN this Instant Pot Pressure Cooker Spaghetti Sauce for Pasta! I used to make my own red sauce on the stove top and then let it simmer all day on low in my slow cooker. This sauce was so rich and satisfying and it truly tasted like it had simmered all day long. It made enough for me to freeze for another family size dinner. I’ll probably never go back to my old way of making red sauce again. Yum! Making sauce all day was such a tiring procedure, but does hold memories. I was taught the all day method by the mother of an ex boyfriend whose father is Italian. 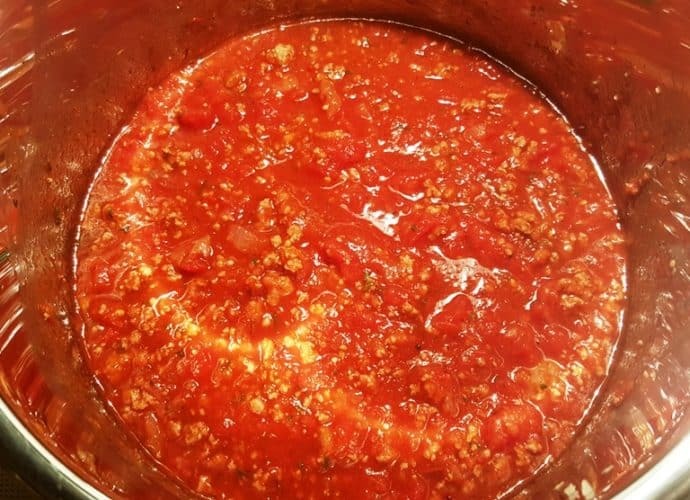 When I first decided to use the pressure cooker, my husband said, no, you have to cook the sauce all day, that is the only way it will taste so good. He has been known to make the sauce in the PC too. I used one pound of sausage removed from the casings and one pound of chop meat and followed the rest of the recipe. I used half of the sauce to try a small pan of lasagna and it was excellent. The lasagna did not suffer any quality problems at all and saved about a day’s work. This meal will be enjoyed on more occasions than holidays in the future, so thank you. I highly recommend your sauce be put to this purpose. Of course non-cook lasagna noodles are the way to go. Wow, thank you for your wonderful comments. I am so glad you enjoyed the sauce so much. 🙂 The lasagna sounds wonderful with the sauce and your choice of meat! Trying your sauce for the first time. If it tastes s good as it did from the mixing spoon, it’s on it way to being my new favourite way to make sauces. Hehehehehehehe, what a nice thing to say. Thank you so much. Will you be making pasta or a lasagna for the sauce? Looks delicious and I can’t wait to make it! Any suggestions on what I could use in place of the red wine? The red wine gives this sauce a depth of flavor. If you really don’t want to use it, try some beef broth instead. Hi Jill, is the Basil dried or fresh? and if dried how much should I use, thanks! I am just recently starting my pressure cooker experience with an Instant Pot. 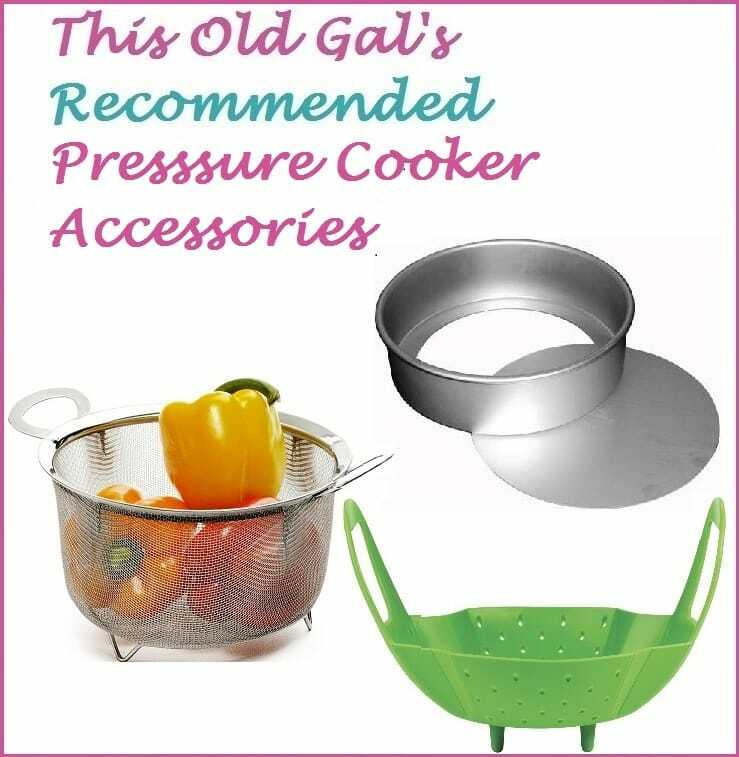 I remember my grandmother using her old pressure cooker in the 1960s- with warnings like “stay back” and “don’t go near it” . Boy, did some amazing meals come out of that scary pot. The Instant is much less scary and I was searching for a good recipe for red sauce and found yours. I liked the ingredients -much like my grandmother’s ingredients so I gave it a try. YUMMMM! Did I mention that the grandmother was Italian? The only change i made was to cook meatballs in the oven and then add to the sauce and pressure cook the whole thing together. Nonna used to put the half cooked meatballs into the sauce, but that tends to get a little greasy. This recipe was perfect! Thanks so much for it- this will be a go-to for me! Thanks so much for the story and your compliments. I too like to first cook meatballs and then make the sauce. It adds great flavor. I used to do that on the stove and then pull out the meat for whomever wanted the meat. I realize you say that you can leave the meat out – and as a vegetarian, I will do so. I was wondering though, have you ever used mushrooms instead of the meat – so as to give it a “meaty” texture? Or do you think this would muddy up the sauce? Thanks so much… can’t wait to try it! When I make this for myself, I leave out the meat. Mushrooms are great to use. I would use the crimini as they give a lot of flavor. This is the second time I’ve made this sauce (using half sausage and half ground beef), and I’ll never use another recipe! Thank you so much!! Thank you so much for the compliment. I am thrilled that this will be your go-to sauce. It is ours as well, since 2005. I won’t change a thing, either. Just love this recipe. It is now my second time making a double batch so I can freeze in smaller portions for the hubby and I. Between it being convenient, very cost effective, and the ability to tweek the recipe to meet my dietary restrictions it is a true keeper! I will be coming back to this post again and again. Thank you for taking the time to write up such a wonderful recipe and description! Thank you so much for your compliments I am thrilled that you enjoy this sauce. You rock! I love my instapot but have had trouble finding good family meal recipes. Thank you! I really love the taste of this, had a DUH moment last week- why have I never made sauce in the pressure cooker? I LOVE my pressure cooker. I had never put fennel in before, and wasn’t so sure about it tasting it off the spoon, but was so yummy once it was on the pasta, and was even better the next day. Thanks so much! 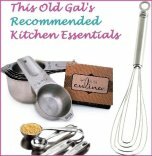 I just bought an instant pot and was ttying out new recipes to use in it. I didn’t have the fennel seed,but it was still amazing! This was so darn delicious. My first attempt at spaghetti in the IP was a few weeks ago and a big failure. My husband asked why i would use the ip for such an easy meal and then it was so inedible. It was from a different website and glad i came across this one. Such delicious sauce!!! I did add meat, and carrots and used barilla spaghetti and the timing was perfect. I also threw in a few frozen meatballs on top of this. Wow…..this is my go to sauce now. So. Very. Good. Thank you Jill!! I love this recipe! I add frozen homemade meatballs. Both times I made this, the IP did not reach pressure the first time before counting down. I hit cancel, opened the lid and scraped the bottom (seemed to be a few scorched areas) and then tried again. Both times, after doing this, it worked the second time around. Is there something I am doing wrong that this keeps happening? Other than having that minor issue both times, I love this recipe and will keep using it. Thank you! This is cooking as we speak. Cannot wait to taste. All of your recipes have been a hit so far! Thanks for sharing. I have the 8 qt,I love it but for some reason my pressure valve would not seal. I turned it off and tried it again and it still wouldn’t seal all the way, any suggestions for next time to get the valve to seal? I still let it go the full time then cooked it on low statue for thirty mins and leaving it on keep warm the rest of the day PS. You Don’t look like an OLD GAL to me ???????????? I have made this quite a few times now, yum! But making today for the first time without meat, as I have home made meatballs in the freezer (yay me). So yummy with or without the meat. My kids don’t like meaty sauce so meatballs may be the way to go! Thanks! We always have this (like, once a week) now with the meatballs which can be frozen after baking then reheated in sauce! Big batch cook ahead meal and very very good! I made this but substituted dried basil for fresh basil about 1 cup, put them after pressure release and closing the lid again and leaving it for about half an hour. Just because I had fresh ones. 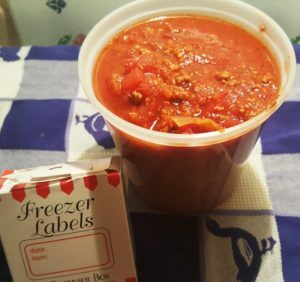 I’m a bit confused about the tomato sauce, put in about 6oz. Thank you so much Jill, we had the best pasta ever. Hubs never liked bolognese until I found this! The recipe says 30 ounces of tomato sauce then it says right next to it 15? Which is it? Please tell me how this does not burn in the IP? It’s mainly tomatoes!! They burn in the IP. I’m dying to try this, but I don’t want to ruin my pot either. Have you had any experiences like this with your sauce? Tried this tonight. It was really great. Thanks for the recipe! This recipe is excellent! I pull it out to impress dinner guest! It’s one of those recipes where you can hardly believe you made something so delicious. Thanks! Hello! I’ve tried a few of your recipes and loved them, going to make this tonight. Going for the meatless version and my cousin is visiting and hates onion so I’ll use onion powder. But I despise fennel- obviously I can leave it out but is there a trick to fishing it out or cooking in a cheese cloth for flavor only? Should I substitute anything for it? Thank you! I’ve never made my own sauce before and too be honest, I wasn’t planning to this time either. I had a hankering for spaghetti and no sauce in the cupboard. Almost threw in the towel but decided what the heck, I’ve got all the ingredients let’s give this a whirl. Outcome? I am never buying my sauce again! This is amazing! I am low on tomato sauce ( someone around here REALLY needs to hit the grocery store!) but I’m going to make a run so I can make more and freeze it. So thank you for sharing! 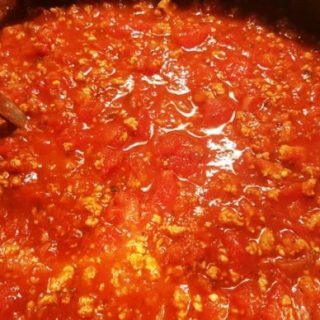 I made meat sauce this afternoon. 10 minutes cook time and it tastes amazing–as good as the sauce I used to simmer on the stove all afternoon! I used 1 lb. 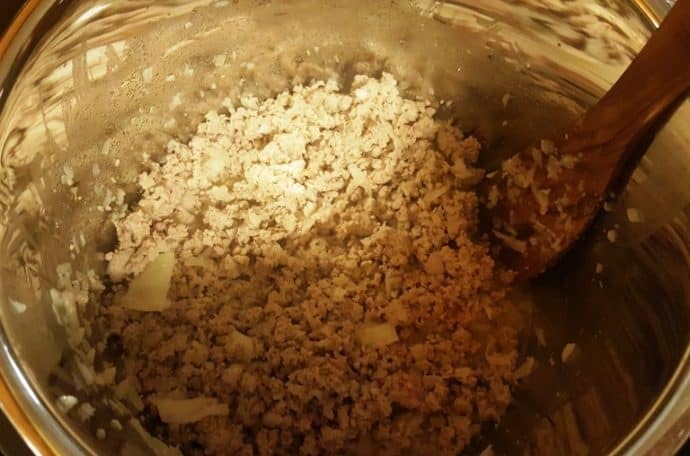 lean ground beef and 1 lb. Hot Italian sausage meat. I omitted the fennel seeds and the dried hot peppers because the sausage meat contained enough of both for our taste. I would recommend waiting to add salt until after the sauce is done because the sausage already has some salt. And don’t hesitate to add that 1/2 c. of wine. It adds something special to the overall flavor. I added it to the browned meat and onions on saute so the alcohol could burn off, then added all the tomato stuff. This one’s a keeper for me! have made this sauce a couple of times, sooooooo good. Thank heaven for you Jill. You gave me confidence.